Coming Up Roses – Trend Alert! Floral prints have been all over runways and fashion magazines; if you’re looking for a way to ease this trend into your wardrobe, it might be easier than you think. 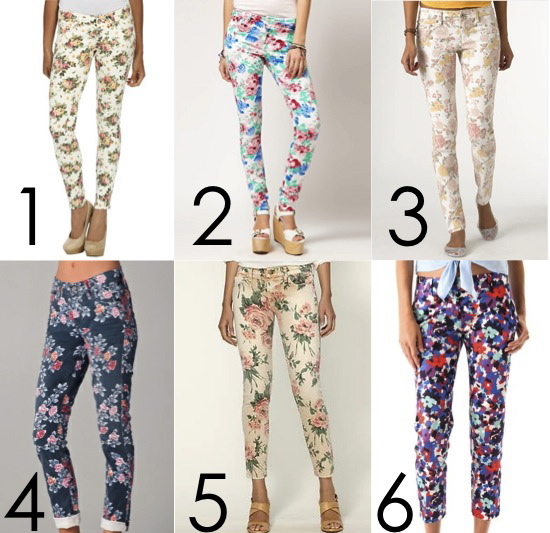 Pair any of these floral print skinny jeans with a solid tee or blouse to add instant style to any outfit. What do you think of this summer’s floral prints? Is it just a passing trend or will it survive future wardrobe overhauls?